H T Partnership has extensive experience in the commercial and industrial sector. 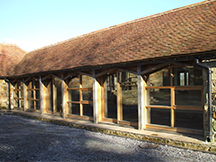 This includes warehouses and industrial units, shops and offices, hotels, public houses, restaurants as well as display signs and advertising towers. 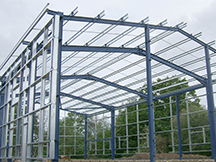 H T Partnership can provide a full design service for steel and concrete frame structures. 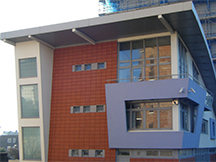 In addition we can provide advice for cladding replacement and design of fixings for replacement panels in high rise buildings. 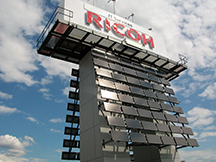 H T Partnership is currently working closely with a specialist contractor in the design of large LED advertising display signs throughout the country. Please see left / right for examples of commercial / industrial projects. Also see Specialist and Surveying pages and continue for other services connected with this sector. 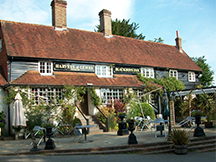 Refurbishment of fire damaged listed pub in East Sussex. 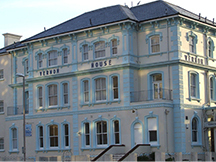 Survey and structural analysis for strengthening of Brighton & Hove City Council Office. 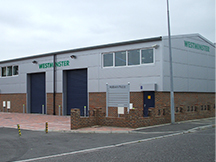 Steel frame warehouse in East Sussex. 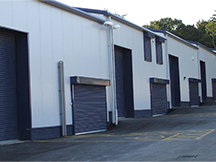 New build light industrial units in East Sussex. 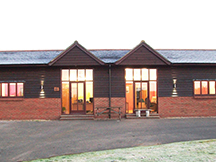 New build offices and light industrial units in East Sussex. 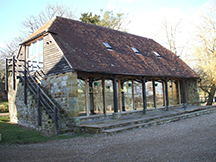 Barn conversion into office in East Sussex. Fully sustainable advertising tower powered by wind turbines and PV panels in London.